Hakka Rang @ Kota Damansara – Guest people! The Hakka are the Han people who moved from North China to the hills and mountains of the South over a long historic period from the Qin (221-206 BC) to the Song (960-1279) dynasties. They are not an ethnic minority either. Self-identified as Hakka, or guest people, these Han immigrants have retained much of their ancestors’ lifestyle and culture. 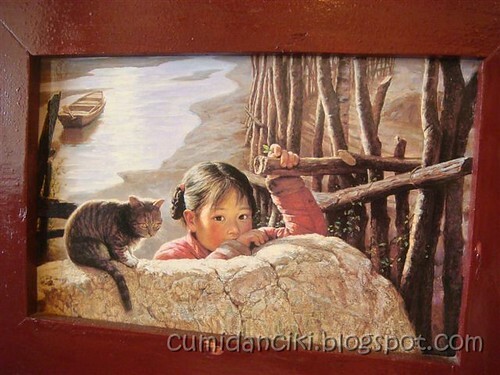 Further, these people have absorbed the best of the cultures of other ethnic groups. This tradition is reflected in Hakka food, which emphasizes original flavours and nutritional value rather than a brilliant appearance. It lures customers with its solid material. Hakka Rang at Kota Damansara has varied choices on the menu and luscious flavour have brought many patrons, from around the PJ, Tropicana, Kota Damansara area, back for more during lunchtime. Over the past months, we have been here a few times ourselves and the place is always packed. The prices are affordable. Everytime I am here, the Hakka styled pork with black fungus is a must! Matching the fantastic aroma, the pork here is ‘melt in your mouth’ succulent and rich in flavour. 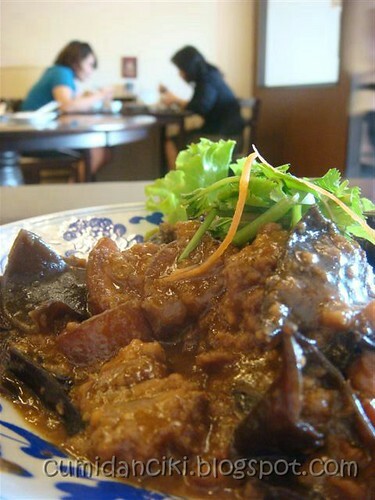 RM13.80 for a hearty dish, made with tender loving care – not bad! Several Hakka style soups stewed for hours with Chinese herbs are supposed to have different health benefits and taste good as well! We tried the raddish soup- it was goooood.. not only that.. it was on the house! Now this dish i LOVED. 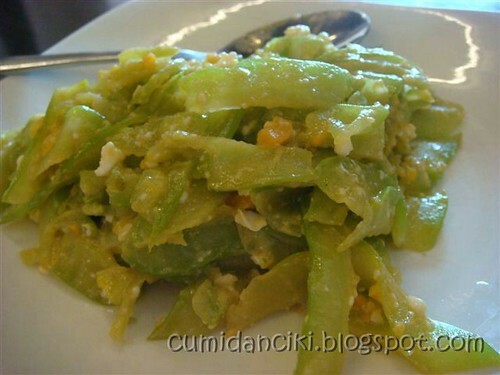 This is the stir fried bitter gourd with salted egg. At RM10.80, this has a robust and rich egg taste, but a subtle bitterness to it. The salted egg, counter-acting the bitter in the gourd was just an amazing compliment. The crispy pork with fermented bean curd noodle cost RM6.50 and was of a decent size for the money. 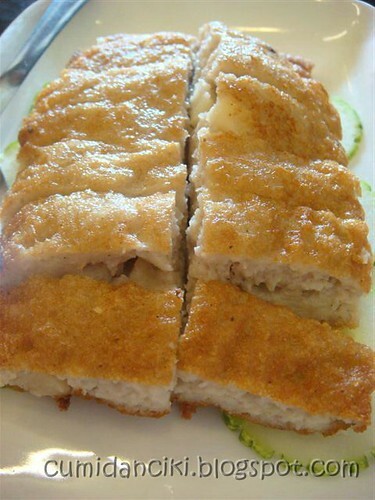 Hakka people are good at making tofu dishes, since tofu for quite a long time was the main source of their protein. 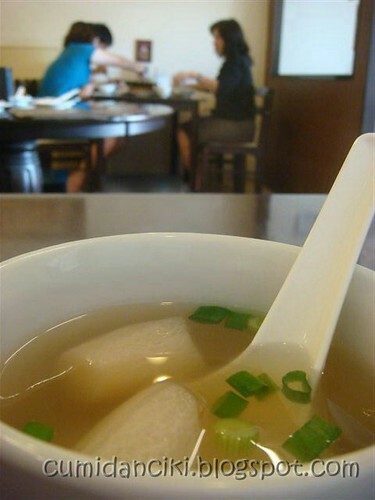 At Hakka Rang, they have this signature Tofu dish which has water-chestnuts in it besides fish. This makes the dish thoroughly crunchy and tasty. You have to ask for this, as it is not on the menu. We love this place we do! 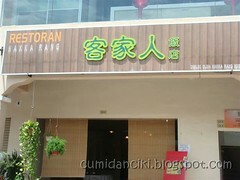 It is situated facing the main-road, next to the Yong Tau Foo shop, in Kota Damansara . This makes my Hakka blood tingle! I was made to sit through some pretty uninspiring Hakka dishes as a kid all those CNYs ago. Why couldn’t we have had some of those pork and tofu?! My CNYs would’ve been way more festive! Looks like a place we can bring NJ’s parents when we are next home – his dad is Hakka and even in beijing, he was looking for Hakka food!!! yea.. tell me about it.. why so much rain 🙁 but nil msg levels are a real plus.. no weird tight feeling in the neck after the meal. 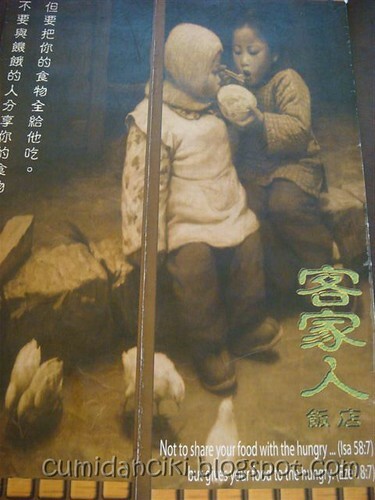 really… no/few hakka food joints in beijing?! a plate of delicious looking “char yuk” with a nice touch of fermented soy bean (with white rice!) plus 2 “guests” in the background, in a “guest” restaurant…woah, talk about “guestiness”….hahaha! Looks awesomely delicious, something I would not miss, so near, must try! lol! Thanks for the info….this Hakka boy loves Hakka food! Is this restaurant near any banks? Anywhere near Damansara Palace chinese restaurant? Thanks! The bank it is closest to is UOB bank but that is on the otherside of Dataran Sunway, KotaDamansara. Hakka Rang is situated on the end block, facing the NEW office/shop lots that are coming up. It is also next to the Yong tau Foo shop and further down from Kayu Nasi Kandar. OK…shall attempt to find it. Ta! I dont disagree with this blog post!! !